Serve this fresh flavored dessert all year long. It's the perfect sweet and tangy finish to any meal. Stir lime juice with sugar, water, mint and lime zest until sugar dissolves; set aside. Preheat your George Foreman Grill for 5 minutes with the lid closed. 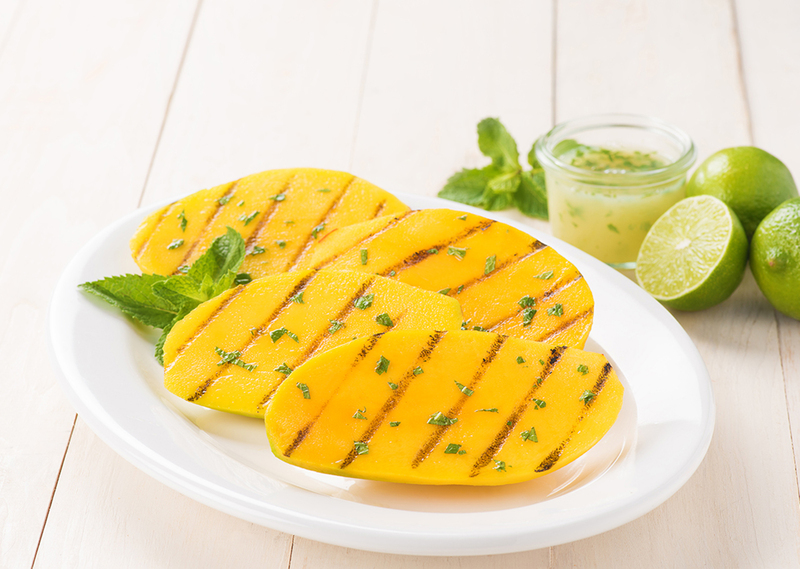 Place mango halves on grill and cook, turning once, for 3 to 4 minutes or until grill marked. Drizzle the lime-mint sauce over mangos. Serve with sorbet. Garnish with mint, if desired. Tip: This recipe is also delicious with grilled pineapple.